The Book of Knowledge: The Keys of Enoch® is a multi-level teaching that states the issues of the future in a unique spiritual and scientific language. The Keys examine the puzzles of life and give a spiritual explanation as to why we exist in this reality. In essence, it provides insights and an understanding of our past/present/future cosmology connected with a blueprint describing the next stage of humankind’s future evolution into a higher state of consciousness. The Keys of Enoch® teaches us that a greater unity can and must occur between the scientific and spiritual pathways in order for the problems of Earth to be solved. Its ultimate purpose is the advancement of humanity, with the goal of changing our orientation so that we are prepared for a higher spiritual attunement and a quantum shift that will move humanity and the earth forward into the next step in our evolution. In this process an ultimate interaction is foretold, as we discover “greater families of intelligence in the universe who share the same Higher Evolution and the same Divine Source”. 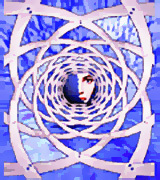 The text is a multi-level process of instruction whereby the reader acquires the ability to work with mental pictures, sacred language, and consciousness expansion through which an actual transformation can take place, with the recognition that life is a process of experiencing multidimensional worlds. The text explains how we can discover God’s Manifestation through the emanations of Higher positive Thought-Forms and mathematical Rhythms of Light and Vibrations, within a greater Resonance field. It also shows how all Higher Thought-Forms work with the vibrations of Light-waves in a harmonious coordination of collective — not independent —”pathways” that bring us to a deeper connection with the Living God. The Book of Knowledge: The Keys of Enoch® was the first book to point out the alignment between the Great Pyramid and the constellation of Orion. 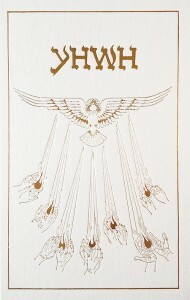 It was also the first book to show the direct relationship between DNA coding and the Divine Name. Additionally, The Keys describe the Divine Genetic Code within the human body that will prepare humankind for new vistas of life within the surrounding Higher Evolution, using aspects of the identical central genetic-light information for transformation into bodies of Light. The Book of Knowledge: The Keys of Enoch® is available in our online catalog, which contains a variety of related books and booklets.